WP is a 45-year-old lady. Within a period of LESS than a year, all these happened. In November 2014, WP had a lump in the right arm pit. A mammogram showed multifocal clusters of micro-calcification. A surgeon did a bad, piecemeal excision of the lump. Test confirmed it was an infiltrating ductal carcinoma with DCIS margins involved. A week later, another surgery was done to remove the other remaining half of the lump. WP consulted an oncologist in Singapore. She was asked to do a PET scan. 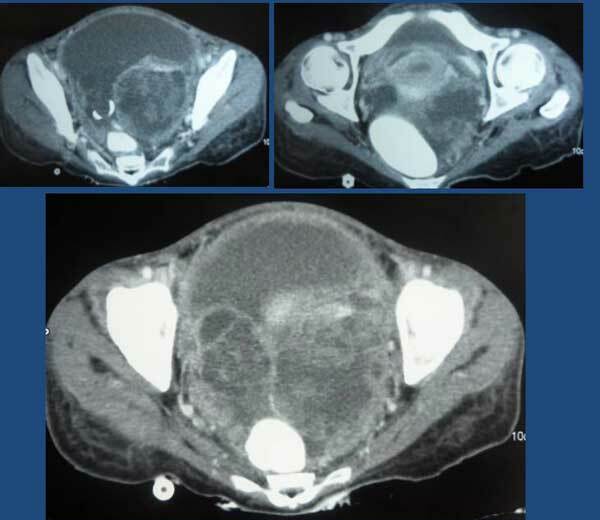 Small focal areas of mildly increased FDG uptake seen in the right breast — foci of satellite tumours have to be considered. There are several hypermetabolic lymph nodes noted in right axilla and in the pre-carinal region of the mediastinum. 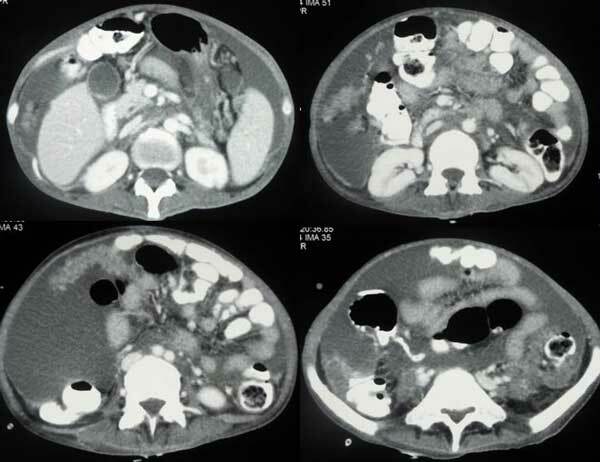 These findings are suspicious of metastatic nodal disease. No definite scan evidence of FDG avid hepatic, pulmonary and skeletal metastasis is noted. WP was told she had a Stage 4 cancer and needed chemotherapy. She received her first shot of chemo in Singapore — AC regimen costing SGD 6,000 per cycle. Not happy with the first oncologist, WP decided to seek another oncologist. She did a total of 6 cycles of chemotherapy in Singapore. Since her cancer was Her-2 positive, WP was given Taxol + Heceptin. One injection of Herceptin cost SGD 4,000. The foci of increased FDG uptake in the right breast have resolved. The FDG-avid lymph nodes in the right axillary region and precarinal region of the mediastinum show interval metabolic resolution. No new suspicious FDG-avid lesion is detected. In layman’s language the first round of chemo was a great success! But this success did not last long. Six weeks later, a lump was again found in WP’s right breast. FNAC confirmed cancer. The oncologist wanted WP to continue receiving Herceptin. Each treatment cost SGD 4,000 and WP will need to continue receiving Herceptin for life! CT scan was done and it showed lung nodules. In simple layman language the first round of chemo was a failure. It did not cure her. WP was referred to a lung specialist who suggested a surgical removal of the infected nodes. WP consulted a breast specialist in Kuala Lumpur and had a mastectomy (total removal of right breast). There is interval development of several FDG-avid lymph nodes in the lower cervical, right supraclavicular, left internal mammary and medistinal regions. A consideration would be nodal metastases. A stable subcentimetre subpleural lung opacity without FDG-avidity in the right lower lobe is non-specific. The breast specialist suggested more chemotherapy — the same advice as the oncologist in Singapore. After a month on CA Care Therapy, WP returned and said she was happy, confident and looked prettier! Listen to her. WP suffered two side effects after her medical treatment. After her surgery and axillary lymph nodes removal she felt numbness in her right arm. This is a very common problem suffered by patients. After the chemo with Herceptin she had pains in her knees, ankles and joints. Since WP planned to stay in Penang for 3 days, we took the opportunity to put WP on our e-Therapy. After 3 sessions of the e-Therapy (each session lasted less than an hour) the numbness and pains were gone! Let WP tell you her experience. Many cancer patients came to see us after all their medical treatments have failed them. We are their “last one stop”. We also reminded them: Don’t expect us to cure you! We don’t have any magic bullet. You learn how to heal yourself. In this case, we are indeed glad to know that we can help WP in many ways — If you can eat, can sleep, can move and have no pain, don’t ask for more! Be grateful and be happy. WP had demonstrated to us that she had found her way to healing! We always tell patients to ask two questions before undergoing any treatment (medical or alternative). Before undergoing chemotherapy (radiation or surgery), did you ask the oncologist if the chemo is going to cure you? WP did not ask this question when she met the first oncologist. But the second oncologist did tell WP that chemo would cure her cancer — saying, Many of my patients lived for 5 years. To the doctors, surviving 5 years or more means cure, which unfortunately is not true. In this case, WP had chemo with Herceptin. The treatment did not work. So, the oncologist’s respond was more chemo and top it up with radiation. For the chemo, there is a new but expensive “bullet.” This is the first time we heard about Perjeta. What is it? Perjeta (chemical name: pertuzumab) is approved by the U.S. Food and Drug Administration (FDA) to be used in combination with Herceptin (chemical name: trastuzumab), another targeted therapy medicine, and Taxotere (chemical name: docetaxel), a type of chemotherapy, to treat HER2-positive, metastatic breast cancer (Perjeta was called Omnitarg in earlier studies). Can Perjeta cure cancer? How much does it cost? “Most patients will take the combination of Perjeta and Herceptin until their disease worsens, which is about 18 months,” the spokesperson said. “The estimated cost for a course of treatment … for 18 months is approximately $188,000.” Source: FDA approves Roche’s pricey new Herceptin partner, Perjeta. Put this in the context of a patient in Malaysia. You need to spend RM 827,200 (current exchange rate of 4.4) to live for 18 months. The treatment does not cure you — does it prolong your sufferings? Not too long ago, a friend whose wife had breast cancer was told by a renown oncologist: If you have a million or so, this is the time to spend your money, to show your concern for your wife. But the big question is, Can the treatment cure her? The answer is NO. My friend told me, It was a disgusting advice! We never went to him again. One Indonesian cancer patient asked her oncologist if he could consider giving some discount for her chemo treatment. After all she had been receiving so many cycles of chemo from him but he could not cure her. The oncologist replied, Ask your husband to go and rob the bank to pay me. WP came to see us a month ago. She decided to believe in her own body in wanting to get well. She did not want to go for anymore medical treatment. Would you regret for making this decision? WP said she is now happier, healthier and prettier! Will she make it to another two years without having to spend a million bucks? Time will tell. Ella was told without chemo she had only three months and with chemo she would live for two and a half years (no cure!). Ella forgo chemo and made it to seven years. And today she is still healthy! At CA Care, we have seen many Ellas (and you don’t have to rob the bank!). Praise God, the Almighty Healer.